Beasley Media Group's WMMR-FM Philadelphia midday personality Pierre Robert inks a multi-year contract extension. The veteran market talent joined the station in 1981 and has been hosting the midday show weekdays on WMMR-FM for more 35 years. He encompasses all that rocks -- new and familiar, on-stage and in the MMaRchives, bringing daily features, exclusive artist interviews, live in-studio performances and "on this day" history lessons. 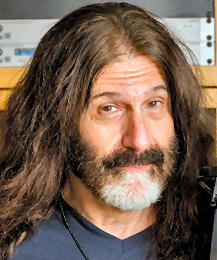 "Pierre is the heart and soul of WMMR," said Beasley Media Group Rock Format Brand Manager and WMMR-FM & WMGK-FM Program Director Bill Weston. "His warm, compassionate voice remains an important part of Philadelphia's broadcast day. A gifted interviewer and brand ambassador, he truly cares about the community he serves. We are so fortunate to have his talents grace the airwaves."